MapheQ Financial Solutions (Pty) Ltd is a proudly Level 1 empowerment contributor company in terms of the DTI Codes of Good Practice on Broad-Based Black Economic Empowerment. Click here to download our BBBEE certificate. MapheQ is a boutique financial services provider (FSP) which is licensed with the Financial Services Board (FSB) and offers specialist financial advisory services to individuals and SMMEs. The company is founded on establishing and maintaining superior client relationships, which we at MapheQ refer to as alliances, and unparalleled service delivery. To tailor financial solutions which enhance our clients' portfolios thus ensuring personal and corporate sustainability. The company pursues a vision of clients who clearly understand the financial solutions we design for them and demystify financial planning to create greater ownership and accountability for the plans, while remaining financially sustainable. 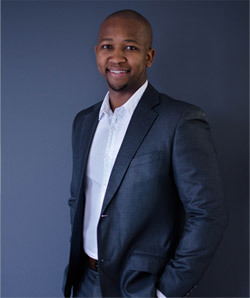 MapheQ aims to be a socially and environmentally responsible business that creates and supports programmes that build the financial knowledge of South Africans to develop more astute investors and contribute to more financially stable households. Personal Financial Planning - Our individual client base is growing steadily due to our very successful 'house view' planning strategy which paints a holistic financial planning picture and enables us to tailor a plan which suits each client's current needs. This is a foundational approach which aims to progressively move the client to greater financial awareness and freedom. Business Funding Packaging and Consulting - This department offers an additional service to corporate clients who wish to apply for funding and assists with packaging business plans, financial projections and positions the transaction to potential funders to ensure successful applications. Corporate Financial Planning - This is our core offering which provides our corporate clients with the best solutions for employee benefits such as retirement funds and risk (Pension and Provident Funds), keyman solutions, buy & sell agreements, and medical aids to give their employees security and the incentives needed to retain them.